103 Family Favorite Casserole Recipes is the first in a series of RecipeLion cookbooks. 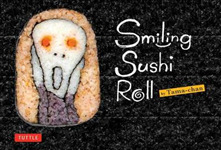 RecipeLion is part of Prime Publishing LLC, a lifestyle multi-platform brand focused on cooking and crafting content. 103 Family Favorite Casserole Recipes shows that a dish doesn't have to be complicated to be creative. 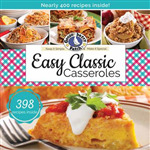 More than 400 easy classic casseroles, along with loads of mouth-watering photos! 150 one pot recipes to feed family and friends with maximum flavour and minium fuss. From award-winning food writer Hattie Ellis. Slow cooker recipes are an essential for any home cook - time saving, low cost and reliably delicious. From family favourites like curries, chillis, soups and puddings, through to fresh ideas for stews, fish and tasty vegetarian meals, Good Food Ultimate Slow Cooker Recipes has something for everyone. The UK's best loved stock cube is, of course, OXO's. Invaluable for super-tasty gravy, casseroles, soups and more, they have been used by cooks around the country for more than a hundred years. An amazing collection of appetizing main courses, suitable for all occasions, from simple meals for one or two to family suppers and special dinner parties. Wonderful comfort food that's both easy to prepare and easy to serve: discover the delights of cooking for friends and family using a single pot, with these delightful recipes shown step by step in over 800 practical photographs. Incredible pizzas and authentic Italian recipes from street-foodie brothers who have taken London by storm.